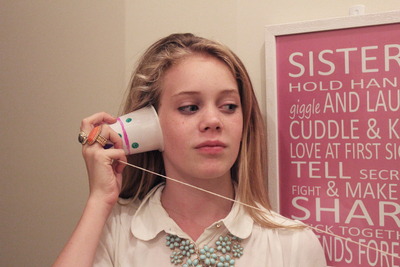 This has been a fun kids craft for years, making a telephone out of cups or tin cans. 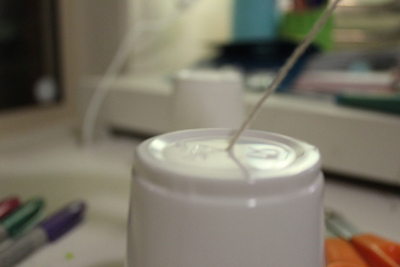 It's also a bit of a science experiment, because the telephone works thanks to vibrations of sound. You can have a lot of fun with this one long after you've actually finished making it. 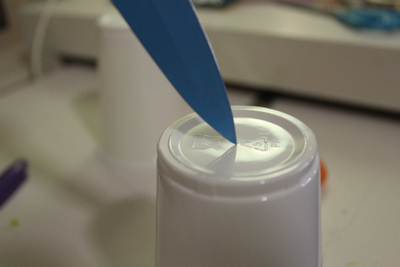 Pierce a hole through both of the plastic cups. You can use a pair of scissors or a knife. You don't want the hole too big, or it will be hard to fasten the string. Get an adult to do this, it can be a little hard. 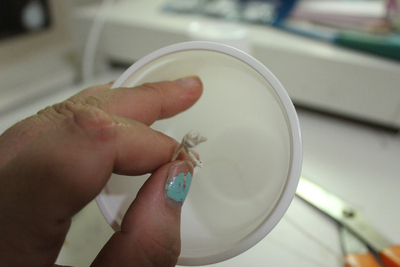 Thread the string through the hole, and then fasten it inside the cup with a knot. This will prevent it from coming out of the hole. Your cups are ready to use, but we like to decorate them first. Just get some coloured permanent markers, and draw any design you like. 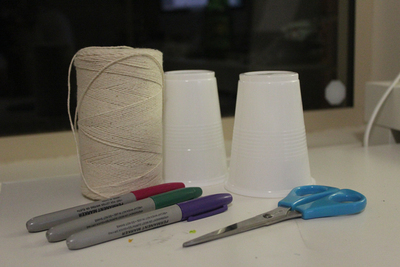 To use the cups one person has to take each one, walk apart as far as the string will go. Keep the string straight and taunt. 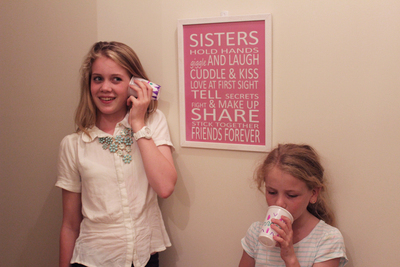 One person talks into the cup, while the other person holds theirs to their ear. 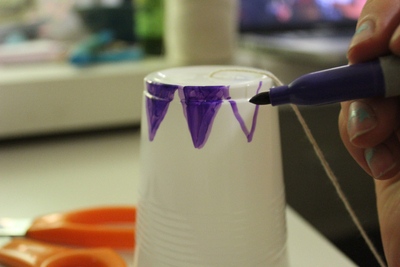 The vibrations make their way along the string, to the other cup, where the person will be able to hear through their own cup. It's all pretty incredible, and while it's all based in science it will also seem like a little bit of magic.